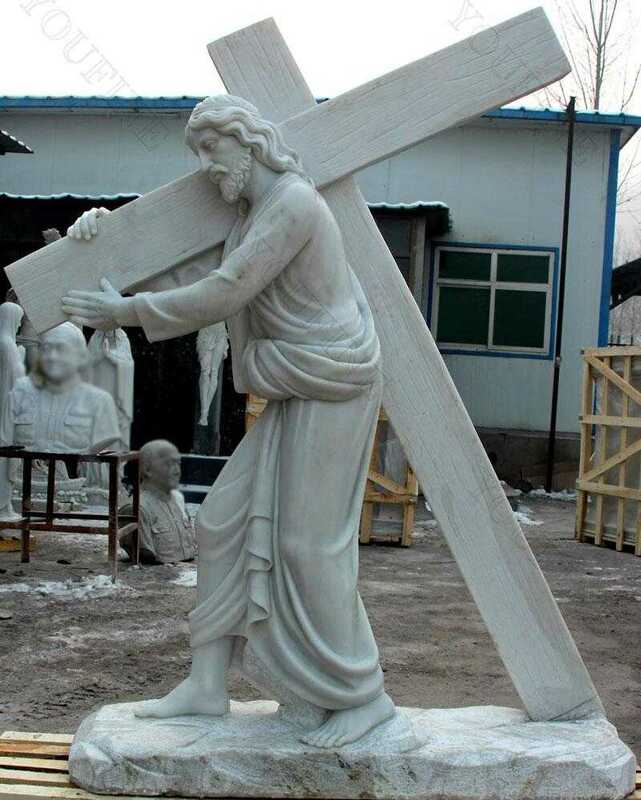 This powerful Catholic garden marble Jesus carrying cross statue shows the blessed Lord Jesus walking the “Via Crucis”, the Way of the Cross, bearing the cross for His own sacrifice on His divine shoulder. Makes a reverent focus for Lenten prayer, or anytime you want to recall the Passion. Size: 6 Feet or Customized Size. The use of images in the Church has Old Testament origins (Exodus 25:10–22 and Numbers 21:6–9). Particularly that second passage is relevant here. 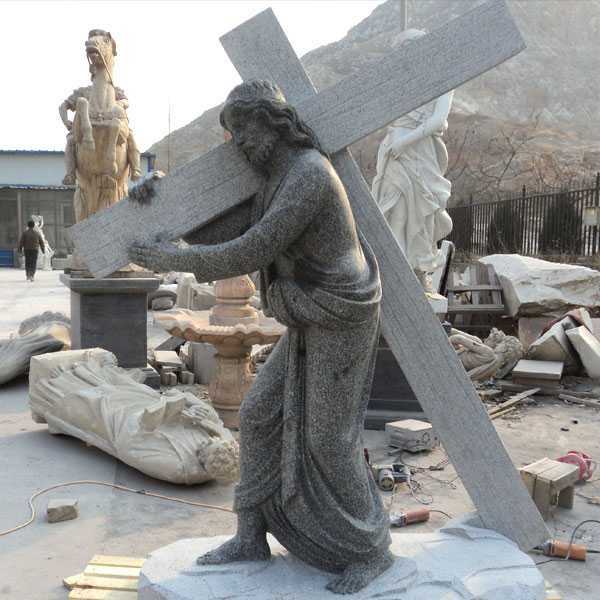 In the desert, God commanded Moses to make a bronze serpent on a pole, a type or prefigurement of Christ on the Cross. 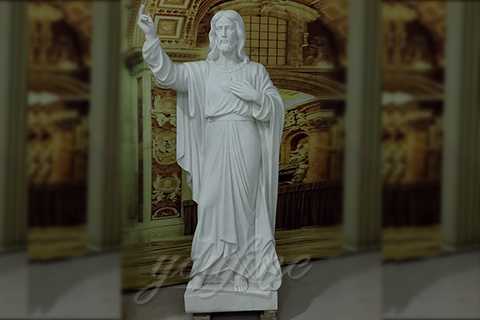 This Catholic garden marble Jesus carrying cross statue is made of durable marble stone with the look and feel of ceramic. 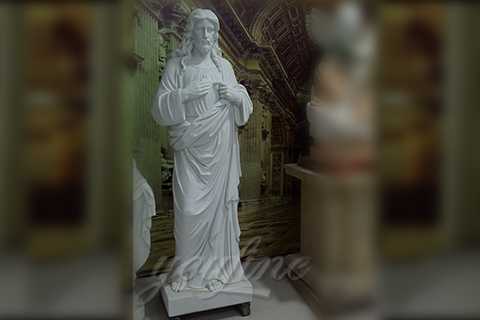 Marble statues feature finer detail and greater strength than other materials. 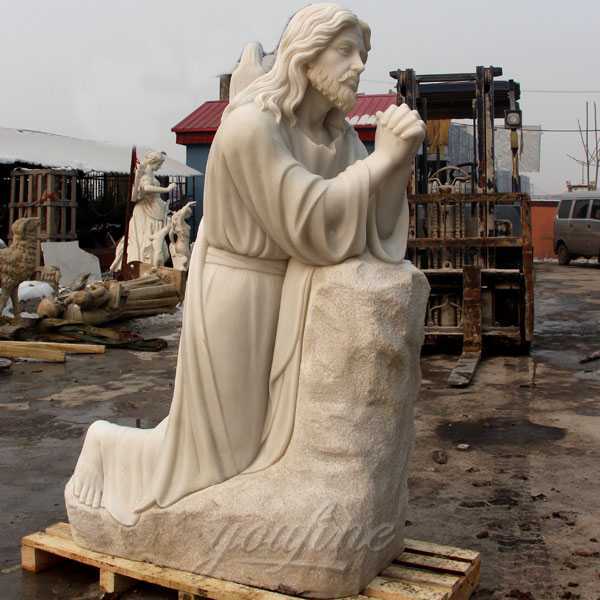 They are suitable for both indoor and outdoor use.All our statues are checked before shipping out. if you have any problems please contact me. i will be happy to help you. 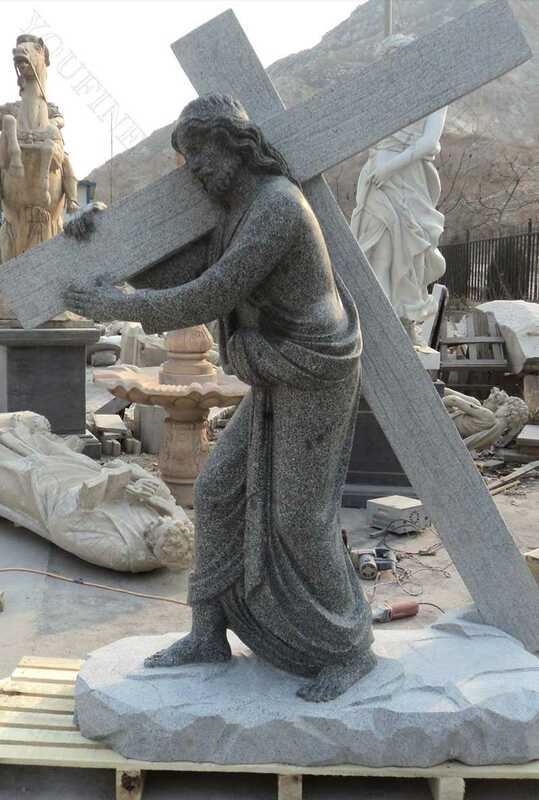 This powerful Catholic statue shows the blessed Lord Jesus walking the “Via Crucis”, the Way of the Cross, bearing the cross for His own sacrifice on His divine shoulder. Makes a reverent focus for Lenten prayer, or anytime you want to recall the Passion. 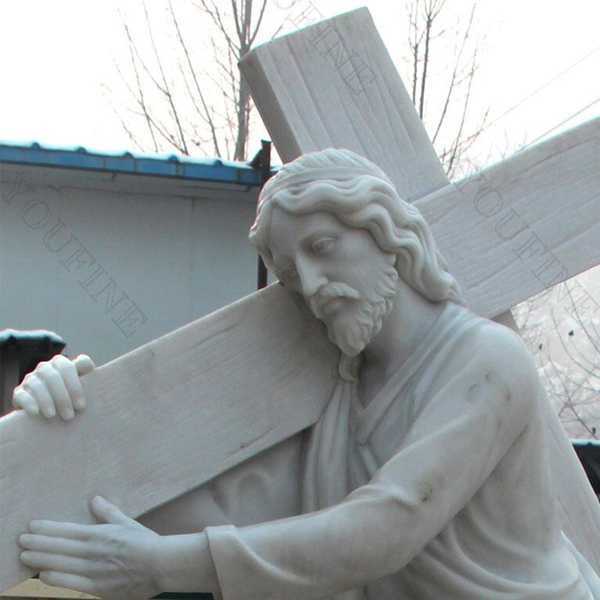 In a Catholic devotion called the Stations of the Cross, in which a prayer is offered at the various places Jesus stopped, carrying his cross to Cavalry, three of the stations are devoted to Jesus’s falls. By express delivery DHL, TNT, UPS, FedEx .. (Door to Door delivery, about 5-9 days can reach). 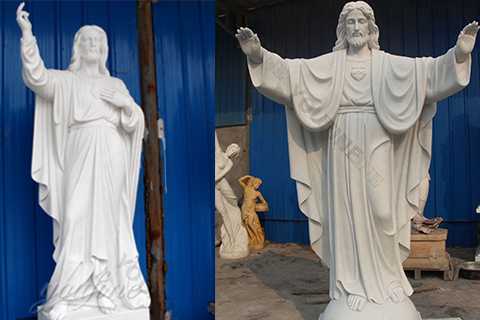 1.Installation and maintain: every sculptures attached the installation instruction, also welcome to consult to our sales at any time. People sentenced to death had to carry their own crosses to the venue of their crucifixion. Evidently, Jesus was too weak from all the scourging inflicted on Him with consequent loss of blood that He kept falling down along the way. 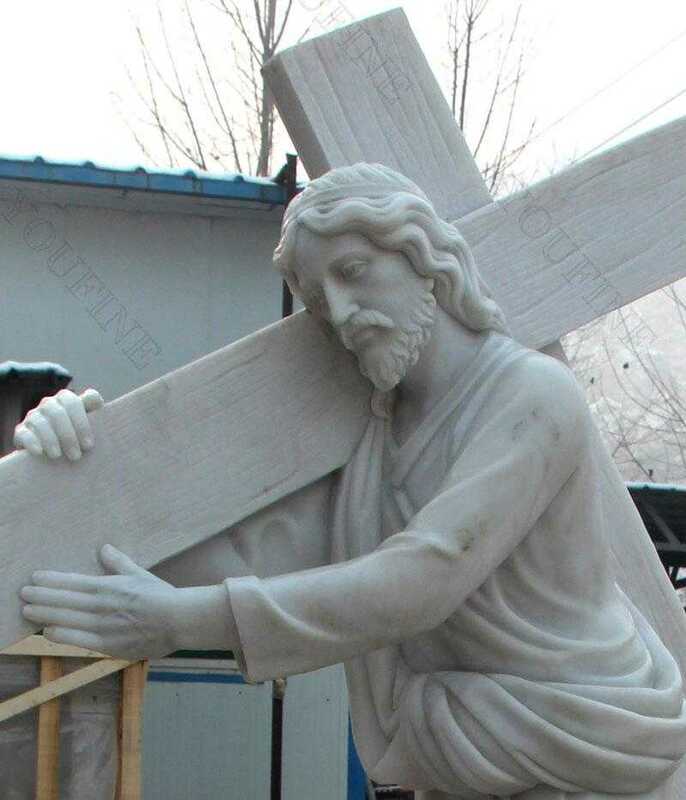 Obviously, I was not around 2,000 years ago, but I was taught in the seminary, that the uprights were permanently fixed in the ground, and the prisoner carried the huge, heavy cross beam, to which he was than nailed, and it was hoisted up and put into the niche on the upright, then his feet were nailed to that. 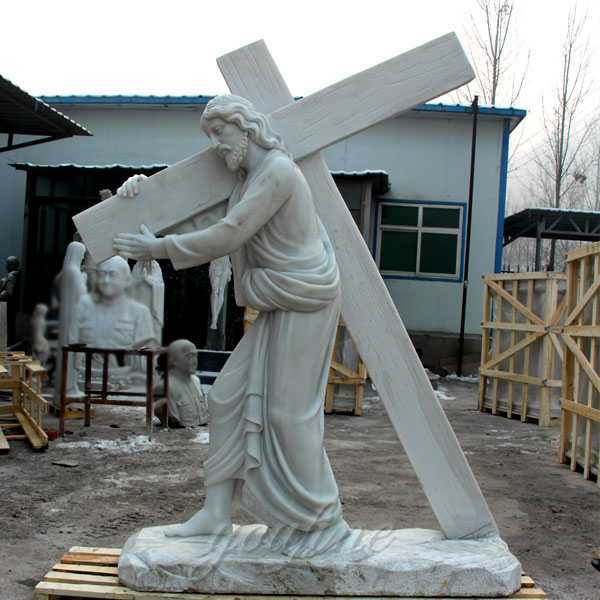 So if you have some requirement about Catholic garden marble Jesus carrying cross statue,please contact with YOU FINE ART SCULPTURE !